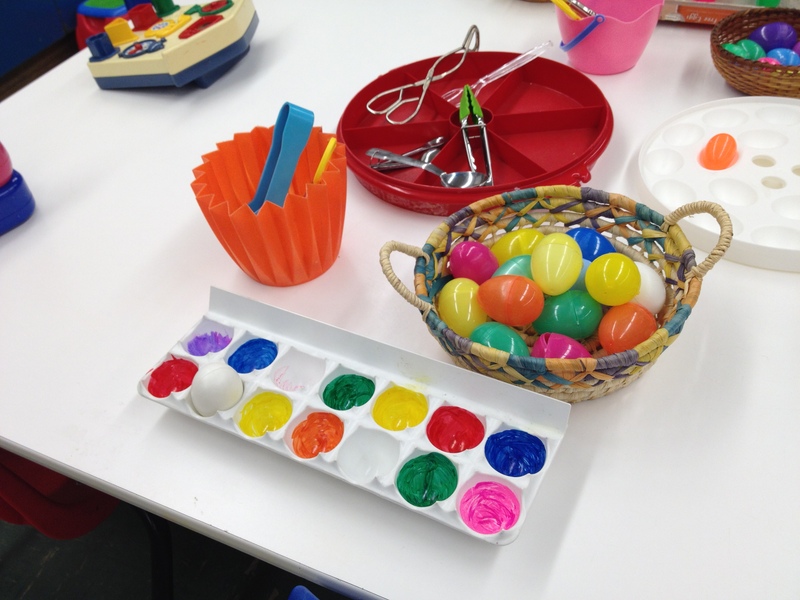 With Easter near, our activities this week were centered on eggs. First, Gail had a table set with several different open-ended play options: putting little fluffy chicks into plastic eggs, picking them up with different kinds of tongs, and sorting them by color. One of our buddies checks out Sweet Pea. 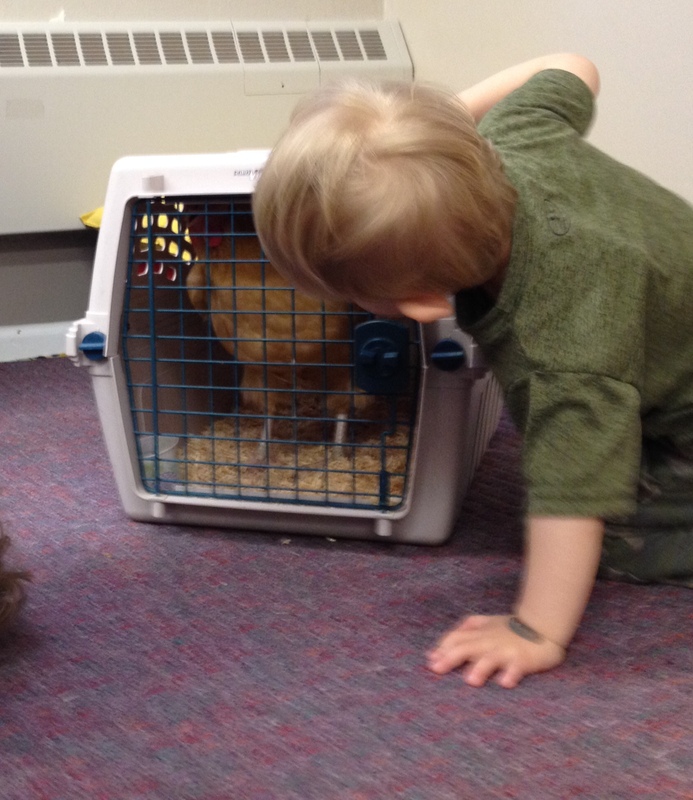 Next, a parent brought in one of the family’s chickens! We watched Sweet Pea peck at seeds and mealworms, and the kids learned to stay very quiet so that she would come near enough to pet her soft brown feathers. We even got to take one of her eggs home to enjoy for breakfast tomorrow!